The Contraband Leather Jacket is the idea of 2012 movie named as “Contraband”. The winning actor Mark Wahlberg depicted the smuggler role in it as Chris Farraday. He wore the same dress and remained alive in the hearts of the viewers. The garb is prepared from pure distressed leather. The inside viscose lining has made it very durable. The snap tab collar style fascinates it. You will found two zipper chest pockets, two side waist pockets and two inside pockets in Contraband Chris Farraday Jacket. The front shutting is given with YKK zip that has an international standard. The color of the garb is brown that makes you awesome even if you are among a crowd of people. The long sleeves have open hem cuffs. It is the perfect selection for all social gathering. You can attend every formal occasion with high confidence. 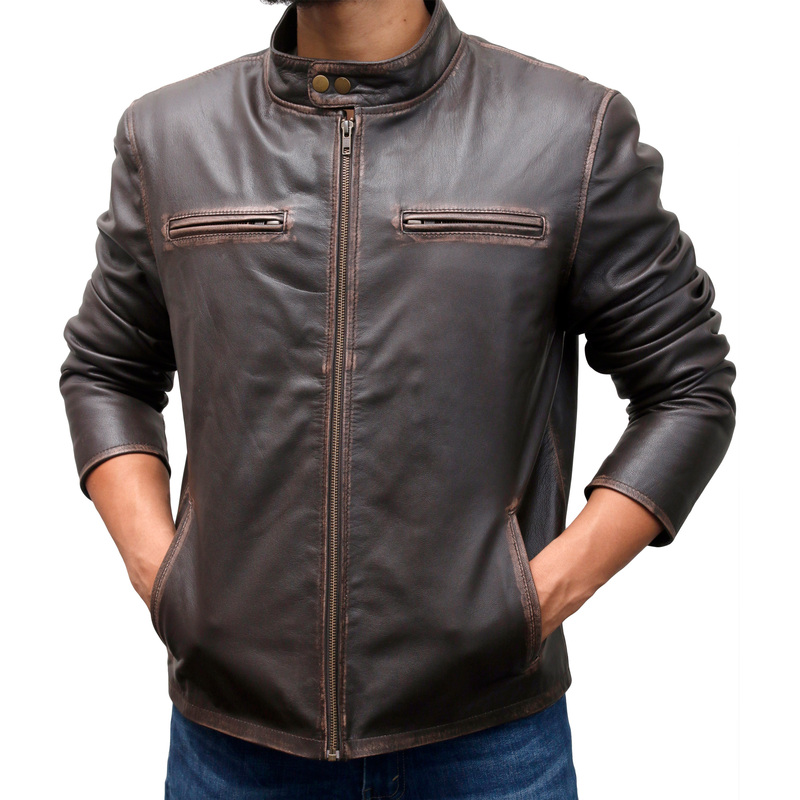 In fact, the striking Contraband Mark Wahlberg Brown Distressed Leather Jacket is the only way to look beautiful.